It has taken us months to find and put together all the parts needed for the Hendershot Electromagnetic Generator. We have now made all of the parts available in a "Do It Yourself " kit so that you can make your very own Hendershot Generator. One rectangular iron bar, 4" long x 1" x 1/8"
kit does not include the plywood base or table to build on. Pictures are for reference only and your kit might look slightly different. *This kit has been put together for educational purposes only and we are not responsible for the end results or liable for any damage that may be caused by the end use of these components. There is no return or refunds on electrical parts. All electrical parts are covered under the manufactures warranty. We are not responsible for what the end user ultimately does with this kit. It is highly recommended that you consult an Electrical Engineer before building one of these units as well as a State Certified Electrical Contractor before hooking this electrical device up. The buyer understands that they are only purchasing electrical parts and they assume all responsibility for the purchase and use of this kit. There are no guarantees either written or implied. Referenced in the article: "THE SO-CALLED HENDERSHOT MOTOR by Gaston Burridge" is an article by the company Utily Engines. This is very good data and some data can be verified in other areas. NOTE: "In the May, 1953, issue of "Fate" magazine appeared an advertisement from the "Utility Engines' professing to have plans for sale of a so-called Hendershot motor for $2.50. Suddenly, all mail was rejected by the address of the "Utility Engines"! I asked Hendershot about this matter. He told me he learned of it soon after the advertisement was published. Soon after that he learned about the plans they were selling and using his name. They were doing this, Hendershot claimed, without his permission or consent. He told me that he promptly informed the postal authorities of this circumstance. "They must have done something about it, for I heard nothing more about them," he said. Hendershot was quite emphatic to me regarding the plans put out by the "Utility Engines" not being of his device. He was so emphatic, in fact, I felt he, like the maiden, "didst protest too much". Thus, 'the Ol hound dog's nose' went to the ground! In due course it came up with the information furnished by an acquaintance of Hendershot's to the effect that Hendershot had remarked at the time, while the "Utility Engines" information was not his device, "it was pretty damn close!"" "The first model consisted of a ring magnet less than three inches in diameter. Around the magnet were coils rigged as only Hendershot knows how to rig them and another set of coils pass through the center of the ring." Hendershot Generator Hoax - Does It Work? 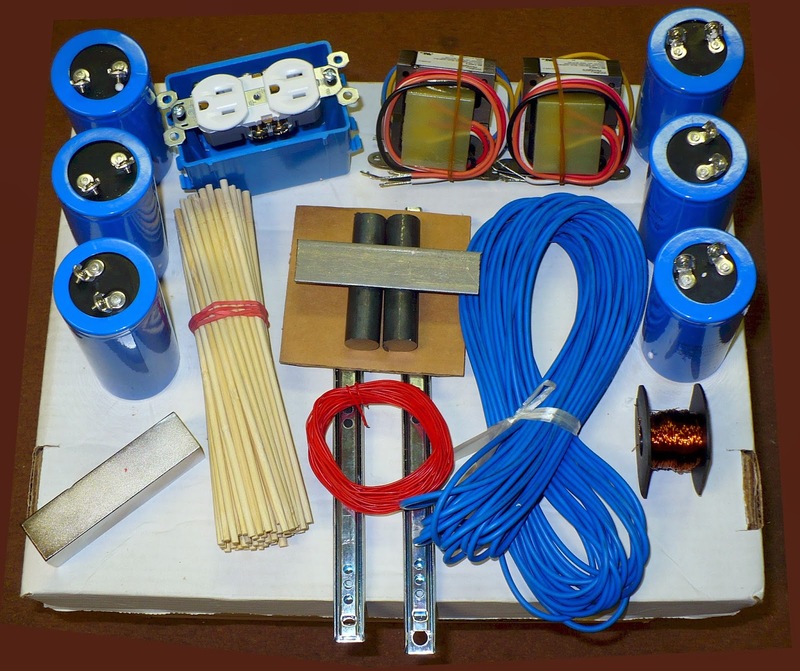 Lester Hendershot Generator - Do It Yourself Kit. © The Hendershot Generator 2018. Picture Window theme. Powered by Blogger.